This was a massive milestone for paid music downloads at the time. 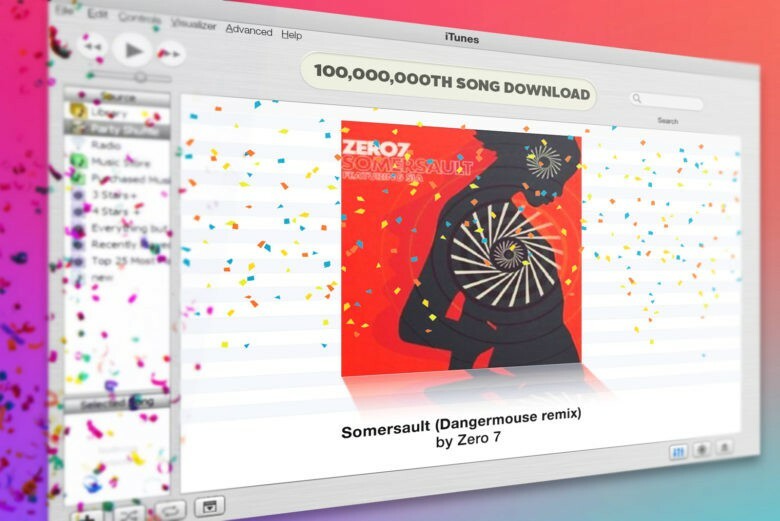 July 12, 2004: Apple boasts that the iTunes Music Store has sold its 100,000,000th song, and marks the occasion with a generous gift for the lucky downloader. The song in question is Zero 7’s “Somersault (Dangermouse remix),” purchased by Kevin Britten from Hays, Kansas. The 20-year-old receives a personal phone call from Steve Jobs congratulating him. Britten also gets a 17-inch PowerBook, a 40GB iPod and a gift certificate for a massive 10,000 (!) iTunes songs. He wasn’t wrong. At this point, the iTunes Store was just over a year old, having opened its virtual doors on April 28, 2003. Within five years, it became the biggest music vendor (not just online) in the United States, and the largest worldwide by February 2010. Today, by comparison, iTunes has sold around 40 billion songs. While the iTunes interface is in desperate need of an overhaul, and Apple has switched focus from downloads to its Apple Music streaming service, today is a reminder of just how revolutionary iTunes was when it burst onto the scene. Do you remember what your first iTunes song download was? Were you a Napster user before jumping ship to iTunes? Leave your memories and assorted recollections below.